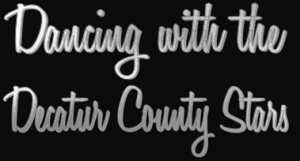 The Carl Perkins Center for the Prevention of Child Abuse presents Dancing with the Decatur County Stars. Local couples compete for a trophy and also to raise money for the Center. The couples hold fundraisers for weeks beforehand which adds to the excitement of the competition. Check out the Carl Perkins Center of Decatur County Facebook page to learn more. Held the first full weekend in April at the Decatur County Fairgrounds. All proceeds from the no-kill hunt benefit St. Jude Children’s Research Hospital in Memphis. In the 40+ year history, the hunt has raised over $4.5 million. Held in April, the Red Shoe Gala includes an auction, dinner and live entertainment all to benefit Decatur County CASA (Court Appointed Special Advocates) for children. There’s even a contest to judge the best red shoes in attendance! Learn more about Decatur County CASA here. 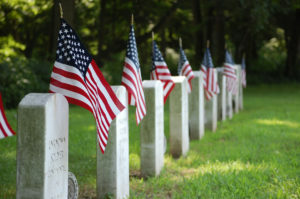 The Annual Memorial Day Salute takes place on the lawn of the Decatur County Courthouse and in addition to honoring our fallen heroes, we also take time to salute our veterans and those currently serving. 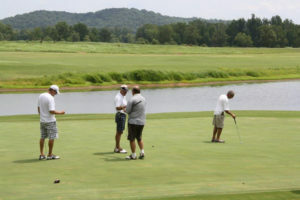 Join us at the Tennessee River Golf Club the first weekend in August. Going strong for over 20 years. Lots of prizes and a Golf Ball Drop. 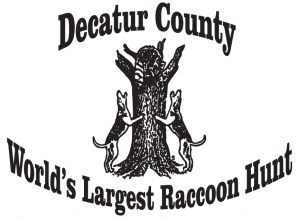 Learn more about the Decatur County Chamber of Commerce here. 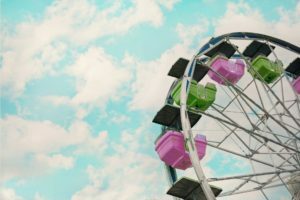 The annual fair features a carnival, livestock shows, pageants for all ages, exhibits, music, entertainment, food and fun! This is the fair you remember from your childhood. 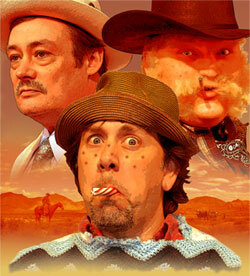 The Rivertime Players were formed when Dr. Dawn Larsen donated to the Parsons Arts Council the last remaining repertory tent show in November 2006. People travel from miles around each fall for the Toby Tent Show. In continuing this wonderful theater experience, the Rivertime Players bring quality, family-friendly entertainment to the community and serve as caretakers of a historic cultural asset! Learn more about the Rivertime Players here. Held the last weekend in September, the Fly-In includes classic and homebuilt aircraft, a classic car show and several food vendors. 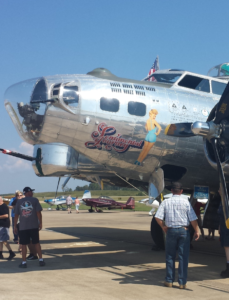 Previous years have seen various World War II aircraft on display, including the B-17 Flying Fortress. What more could you ask for? The Beech River Regional Airport is located in Darden, Tennessee and services general aviation air traffic in and out of Southwest Tennessee. Learn more about the Beech River Regional Airport here. The goal of TRAE is to promote the Tennessee River’s agricultural industry and spotlight our rural heritage. Visitors to TRAE will not only be able to learn about current agricultural products, but will also be able to revisit our rural heritage through an antique tractor exhibit and by seeing a variety of farm and home historical pieces displayed throughout the fairgrounds. Great food nightly, lots of fun contests and entertainment, friendly animals, and agricultural displays. Learn more about TRAE here. Held in the fall with a Golf Scramble on Friday and Festival on the Square on Saturday. Lots of vendors, food, entertainment, and games for the kids. The Decaturville Main Street Festival is fun for the whole family! 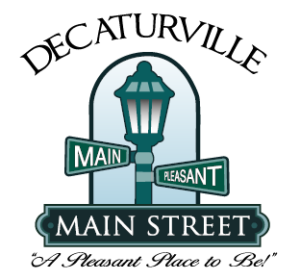 Learn more about the Decaturville Mainstreet Festival here. 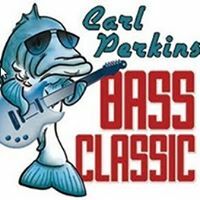 Carl Perkins Bass Classic The Bass Classic is held annually in October, and in addition to the tournament, the weekend includes an auction, a 5K walk/run, Fashion Show, Fishing Rodeo, and several giveaways! All proceeds go to benefit The Exchange Club – Carl Perkins Center for the Prevention of Child Abuse. Learn more at cpbassclassic.com. The first Sunday in November is the annual Christmas Open House featuring specials, giveaways, and tons of Christmas Spirit at our local stores. It’s a great way to get your Christmas started and get a jumpstart on your gift buying! 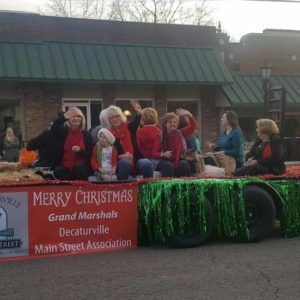 Learn more on the Decatur County Chamber of Commerce website. 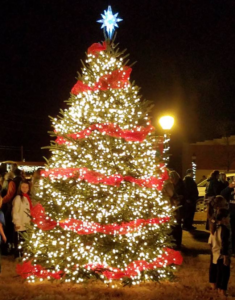 The Annual Christmas Tree Lighting has come to be a much-anticipated tradition. Visit with Santa, listen to carols and sing along, enjoy hot chocolate and goodies provided by local community groups, and help us count down the magical moment when the County Christmas Tree is lit! 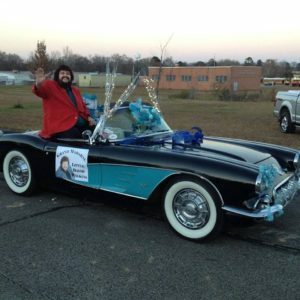 The Parsons Christmas parade takes place on the first Saturday in December in the evening and includes floats, bands, antique cars, horses, and much more. Come out and enjoy the crisp air and Christmas spirit. The Decaturville Christmas Parade is held in the afternoon around the court square in Decaturville. You’ll enjoy the floats, entertainment and spending time with family and friends.